2011 TOURNAMENT WINNERS. See the names and prizes of our 2011 competitors. Unbelievable! 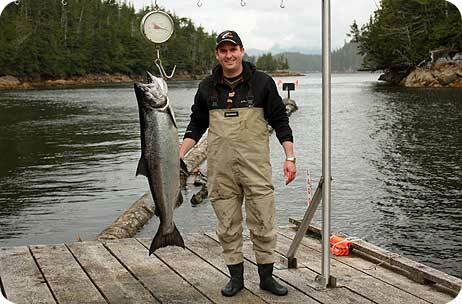 That's the only word to describe the red-hot fishing action during the Second Annual Craig Boddington Salmon Fishing Tournament, as a wave of heavy Chinook rolled into the tournament boundaries just as things were getting underway. We had even more competitors this year and plenty of excitement as tournament leaders jockeyed for the top positions. Throughout the tournament, we had big Chinook in the water and the bite was on. Visit our tournament photo gallery to see more great photos of the competition. Shane Grant held a narrow lead with this respectable 44 lb. Tyee. Excitement, drama, suspense, loads of action, fine camaraderie, and exceptional prizes from the world’s leading outfitters! 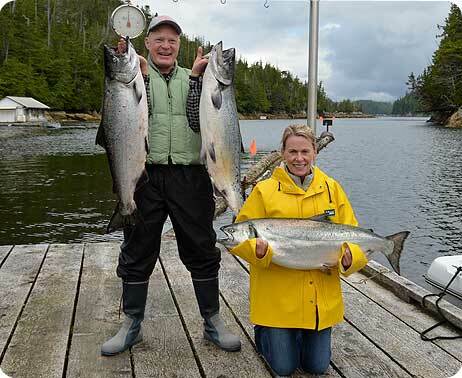 The Second Annual Craig Boddington Salmon Fishing Tournament had it all.